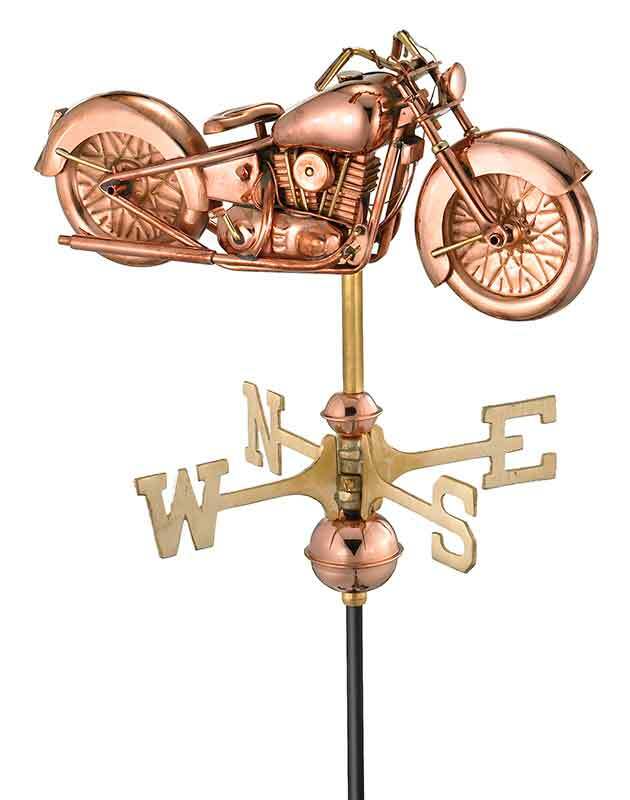 Motorcycle Garden Weathervane is in a Polished Copper finish and can be ordered with either a garden pole or a roof mount. The Motorcycle ornament measures 14" L x 9" and is mounted on a 21" long arrow. The weathervane is shipped with: weather resistant powder-coated assembly rod, directional set and spacer balls (in selected finish). Such a wonderful addition to your garden!